Something to take out for some blue water action, while also being able to use it for a day skiing? Then the Northbank 550R is the answer. 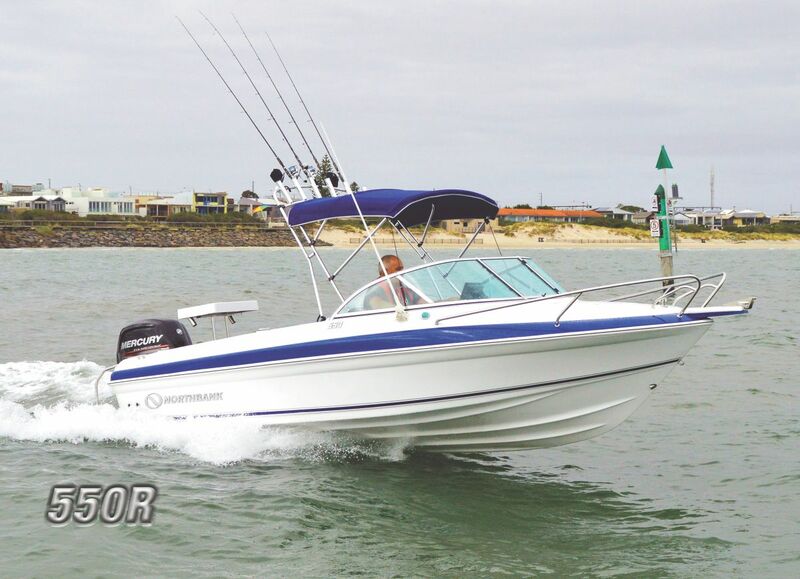 This Northbank model features the trusty 550 hull with a more spacious cockpit with enough fishing room for 4 anglers. With deep and long side pockets there is enough storage for anything from your fishing gaff to water sports gear. The bow access is fantastic, making anchoring a breeze. The 550R also has a large underfloor storage area, perfect for use as a kill tank or filled with ice for those summer afternoons. Finished off with sleek features such as a modern dash layout and a glovebox for dry storage, you can rely on the Northbank 550R being your companion for life.